Since I was on vacation last week, I had more time than usual to allot to reading, although I have to say, I managed to fill up my week! Two awaited books arrived in my mailbox during the week, and they get my Monday reading attention. 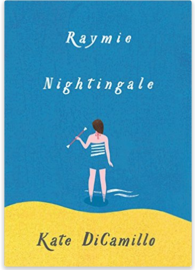 Raymie Nightingale by Kate DiCamillo arrived and went to the top of my reading list. I had to keep slowing myself down as I read this book. The chapters are short, the plot is tight, and the sentence structure is fairly simple, so readers can fly right through it. However, when I slowed down, or even reread some parts, the craftsmanship and the mentorship that this book offers writers is huge. Yes, there is a strong sense of what characters want and what gets in the way, but there is also amazing voice created through the details each character notices, the predictability of the characters' actions, and the memorability of even minor characters. It's a book that I'm sure will be used extensively in the teaching of reading and writing. I'd also been waiting to get my hands on Booked by Kwame Alexander. I could write a strong literary essay on the similarities between these two books, as both deal with divorce, quests, and developing friendships with memorable secondary characters. (Some of our fifth-graders are in the middle of that unit.) 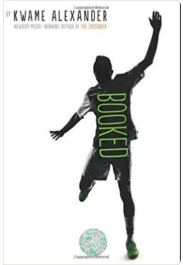 Because the narrator is obsessed with soccer, Booked had the potential to either attract or lose readers, but it is about much more than soccer. Told in verse, Kwame Alexander weaves in life struggles, humor, middle-school insecurities, and even vocabulary lessons in a story that appeals to both boys and girls. It's another one that I had to keep fighting my tendency to whip through it and slow down to enjoy the craftsmanship, lyrical quality, and lessons on plot development and character complexity. 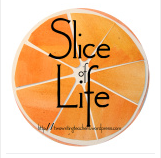 Slice of Life: Pay attention to the big picture! Yesterday, I put up all the games and matches on the family whiteboard. "I can't believe how many games and matches you have over vacation," I said. "There usually aren't any." "Coach said there were no matches at all over break," Clare said. Julia wrinkled her brow. "Mom, we're not off next week. We're off the following week." She started to laugh. Clare started to laugh too. I started to sweat. In eight years, our two towns have never had a different April vacation, but somehow, I missed a key detail. We do NOT have the same vacation weeks this year. Yep, we have to have the same vacation in order to figure out the flight details and the rendezvous time frames. I share this story because it's funny and it illustrates the mistakes we all make, but also, I got really used to making educational connections last month during the Slice of Life Challenge. How many times do we teach all sorts of details, all sorts of strategy lessons, all sorts of revision and editing skills, but students haven't made the connection of the overall purpose of the unit or the writing piece? It's always important to establish the big picture before spending too much time on the details. For me, the good news is the flights were cheap, and I now have a week to catch up on life, which I could actually use. Julia will still make it to revisit schools. And Clare? We'll figure out another week to take a college road trip. 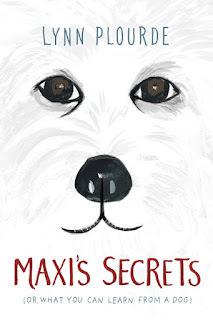 Excited is an understatement when I received an advanced copy of Maxi's Secrets by Lynn Plourde in the mail. 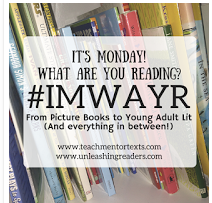 Nancy Paulsen published two of my favorite books by Lynda Mullaly Hunt, Fish in a Tree and One for the Murphys, so I knew this one was also going to be good! This book lived up to all of my expectations and more. 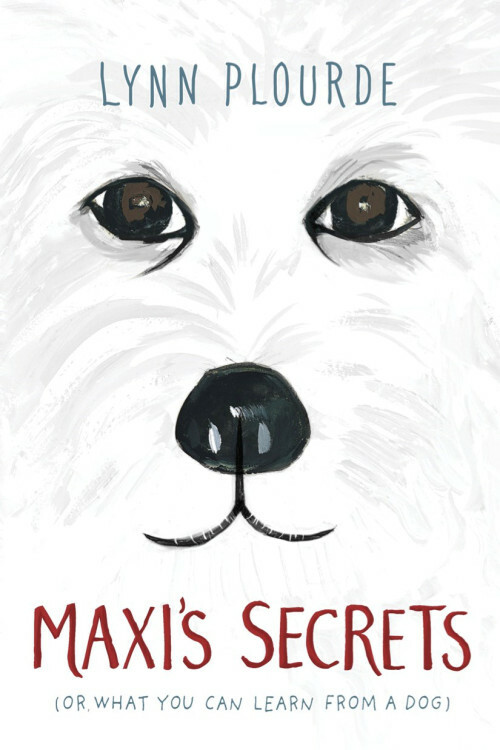 Maxi's Secrets is middle grade novel that would be a perfect read aloud or book club book during a social issues or character unit. Timminy is a 5th grade boy who is moving to a new town where 5th grade is at the middle school. For some kids, that would be exciting, but not for Timminy because he is shorter than most kids his age, is teased about his name, and his dad is going to be the AP at his new school. To help Timminy feel better about the move, his parents agree to get him a Great Pyrenees puppy who he calls Maxi. As Timminy is acclimating to his new school and neighborhood, he learns that Maxi is deaf and has her own challenges. He also becomes close friends with Abby, a neighbor and classmate, who was born blind. With the help of his friendship with Abby and Maxi, Timminy learns many helpful life lessons and the importance of perseverance, confidence, optimism, and true friendship. This book is a page turner and will make you laugh, cry, and everything else in between! Although this book doesn't hit shelves until August, definitely add it to your TBR list!